Personality testing expert, consultant, teacher, and author of the 16 Complete Personality Type Description books. Virko Kask is a teacher, personality type consultant and the author of the 16 books compilation of Personality Type Description. He has studied Vedic Psychology and Philosophy, which is the basis of his worldview, and Personality Type Psychology from the leaders of their field at the Scientific Research Socionics Institute in Moscow. Virko is the founder of the Perzonality.com website. If The Harmony of Human Mind hits 500 pre-orders by Wednesday 15 May 2019 6 A.M. UTC, then it will be pitched to 18 traditional publishers when the campaign ends. If The Harmony of Human Mind hits 250 pre-orders by Wednesday 15 May 2019 6 A.M. UTC, then it will be pitched to 44 independent publishers when the campaign ends. If The Harmony of Human Mind hits 100 pre-orders by Wednesday 15 May 2019 6 A.M. UTC, then it will be pitched to 48 hybrid publishers when the campaign ends. If The Harmony of Human Mind hits 50 pre-orders by Wednesday 15 May 2019 6 A.M. UTC, then it will be pitched to 35 service publishers when the campaign ends. If The Harmony of Human Mind hits 500 pre-orders by Wednesday 15 May 2019 6 A.M. UTC, then it will be pitched to 145 publishers when the campaign ends. Publishizer is a crowdfunding literary agency. If 500 pre-orders is reached, then we pitch this proposal to traditional publishers. If not reached, then it gets pitched to non-traditional publishers. $20 EARLY BIRD PERSONALITY TYPE! + Thank you mention as a sponsor inside the book! 16 personality types to find out your innate strengths by Socionics. An inspiring, understandable and practical guide to learning your hidden inner traits and get to know your right place in society. One of the most common problems is a person’s sense of insecurity regarding their capabilities – we often find that we do not know whether we have chosen the right specialty, whether our activities are in correspondence with our real strengths. Our contemporary environment continues to impose higher and higher expectations on people. Technology and the world, in general, continue to progress and people skills in specific narrow fields are increasingly important. More often people face the fact that they need to implement their particular strengths as much as possible to achieve success. The book explains the emerging mechanisms of the human mind and its peculiarities directly. Everybody can determine their personality type and discover a lot of new information about themselves and the people around them. This knowledge helps you become aware of your strengths and weaknesses and aids you in making the right decisions in life. You do not doubt any more of your decisions, and you can focus on what matters in your life. You spend less energy on your work, and your stress will decrease. You will be more satisfied because the people around you will appreciate your activities. MBTI is the most common theory of 16 personality types today, but the present book deals with a similar topic by relying on Socionics. Socionics is considerably more detailed, logical and scientific than MBTI. There is little high-quality and understandable English literature available on the topic since thus far, this approach has been more common in the East. 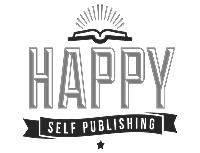 The current book aims to fill this void and equip people with significant knowledge for leading more successful and happier lives. Virko Kask has conducted extensive and thorough research, creating a comprehensive and harmonic overview of a person’s inner life. The book brings together ancient Vedic Philosophy and Psychology as well as contemporary views on the human psyche. The result is a clear and understandable treatment of a complicated field. The present book has been divided into two sections. The first section focuses on the theory of the development and functioning processes of the human psyche. The second is a practical description of the types of personality. The book also features a personality test for determining one’s type of personality. The multi-layered and accurate test with 50 questions helps you correctly determine your innate psychological nature. A-model is one of the primary tools in Socionics for describing and analyzing personality types. This model divides eight information aspects between the eight functions of our psyche. Each function has an essential role in how we handle the information. In each of the 16 types, the aspects are located in different places, and this determines the specific characteristics of the types. The stress tolerance of personality types is different. This chapter explains the specificity of your stress tolerance. Various professions are suitable for different personality types. This chapter explains what careers are appropriate for you. Quadras - groups based on world views. Clubs – groups based on the field of activity. Those interested in learning about their traits are generally the ones who are not satisfied or confident in their profession. As knowledge about one’s personality type provides clarity regarding a person’s innate strengths, it proves to be most beneficial for those who are seeking their natural place in society. After polling more than 25 million Americans within hundreds of organizations, the State of the American Workplace Report found that 49 percent of employees are disengaged while 18 percent are actively disengaged. This fact means that two-thirds of the workers do not put their energy and passion into their daily work. One of the main reasons for this is that people operate in an area that does not correspond to their natural strengths. They are dissatisfied and are looking for a solution to the situation. This book is for them. Furthermore, the global study on the role of purpose in the workforce showed that 37 % of LinkedIn members globally are purpose-oriented. This means that those people are interested in maximizing the implementation of their personal qualities and are actively seeking relevant information. Various popular online pages allow people to take personality tests. For example, the monthly number of visitors for personality type webpage www.16personalities.com is 1.6 million on average and 171 million tests have been taken up to this point. This indicates that people’s interest in the topic is great. People are interested in learning more about themselves and their close ones. This book gives them a competitive edge and helps solve personal problems as well as problems regarding interpersonal relationships. This book not only does provide people a chance to determine their personality type but also knowledge about employing this information. However, theoretical insight into the process of development of our strengths and weaknesses is also valuable because without grasping the theory, the information concerning one’s type of psyche remains superficial and putting it into daily practical use becomes difficult. Virko regularly conduct courses and lectures on Socionics, and is active as a personality type consultant. The idea for the book has been displayed on the webpage www.perzonality.com for the past two years. 40,000 people have visited this page during that period. Virko is planning to do daily vlogging, blogging and posting across all social media platforms including Twitter and Facebook. The Enneagram is an personality type system and it is describing how human beings are wired, both positively and negatively. As a typology the Enneagram defines nine personality types (sometimes called "enneatypes"), which are represented by the points of a geometric figure called an enneagram, which indicate connections between the types. This book describes these types and brings many different examples. Drawing on concepts originated by Carl Jung, this book distinguishes four categories of personality styles and shows how these qualities determine the way you perceive the world and come to conclusions about what you've seen. It then explains what they mean for your success in school, at a job, in a career and in your personal relationships. This book is about the Myers-Briggs Type Indicator (MBTI) tool for determining personality type. MBTI is currently the most common personality theory in the western world. Similarly to Socionics, this is also based on C.G. Jung's original type theory. Socionics is generally considered a more advanced model of the psyche than the MBTI due to its inter-type relations, small groups, additional dichotomies, etc. Another book about the 16 personality types of the MBTI system. 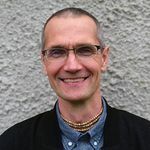 Otto Kroeger and Janet M. Thuesen have developed Typewatching from the Myers-Briggs Type Indicator, which was derived from the work of C. G. Jung. There is a good overview of the types in different situations and a method for determining these types. Again, this book is good and comprehensive, but Socionics have a lot to add. These two books complement each other well. This book is one of the most comprehensive in Socionics field. The book has good descriptions of relationships between types. However, this book is quite old-fashioned, and many important basic things are missing. For example, there is no information about Reinin traits, as well there is not described practical A-model. This book is about the four basic personality types: Melancholy, Phlegmatic, Sanguine, and Choleric. There is a Personality Profile test and good descriptions for these four types. This is a good book, nevertheless my book has a different approach to human nature. Socionics is undoubtedly the most detailed approach of personality types currently available. Compared to other books, "The Harmony of Human Mind" stands out for its level of details and a logical structure. Other books in the same field also describe different personality traits, but no book deals with so many different personality features as my book based on Socionics. My book is undoubtedly an interesting additional reading for those who already know their personality type. The publishers will be visible after the campaign has ended. We are all accustomed to the fact that we have different bodies. We can easily spot it and can take it into account. On a basketball court, taller players play closer to the hoop while the shorter and faster one´s work at the back. We wouldn’t force a slim person to lift a large and heavy rock. Instead, we would find someone that is bigger and stronger. Bodily differences are easy to see. But we all have another body that is called the subtle body. This is our psyche, our properties. It's different for everyone in the same way as our physical bodies differ. There is just one problem with that – it is complicated to see it. But what happens if we do not see the subtle body? Figuratively speaking, we can end up putting small men play as midfielders and force a weak person to lift a heavy stone. At least, we assume that he will raise it! And if he cannot handle it, then we express our dissent and tell him something offensive. The fact that we are not able to see the subtle body in others is only part of the problem. The thing is that we do not see it in ourselves either. This means that we cannot estimate how large of a "stone" we can lift. Often we are influenced by the opinions of others; we are affected by our parents, teachers, friends, public opinion, etc. This leads inevitably to a situation where we do not know our original nature. Psychologist Dr. Jean Twenge has studied extroversion for a long time and argues that today’s teens live in an 83 percent more extroverted way than their counterparts in the 1940s. This has developed due to the societal attitude. The losers are those, who do not stand in front of the other with a big smile and do not speak loudly about all of their achievements. Therefore, more and more people are taking over the role and adapting to the general attitude. Unfortunately, this does not mean that an introvert becomes an extrovert! Most of the widely used psychotherapies today, such as cognitive behavioral therapy, family therapy, or psychoanalysis are based on the theory that human behavior is primarily determined by the internal forces of our psyche. This means that the causes of our problems lie in the particular experiences we have had in childhood and on socialization, i.e., on what has happened to us previously, precisely within this lifetime. Sigmund Freud (1856–1939) laid the foundation to these fields in 1895 in his work "Studies on Hysteria." The area has since been developed, and modern psychologists deal with getting rid of precisely those problems that stem from what has happened to us during our lives, what we have experienced and what our upbringing and social development environment has been. We can let those old wounds and experiences surface from our subconscious, work on them, understand them, and eventually even change, but it is not a solution to our problem. This is because solving one of these cases doesn’t secure us against experiencing difficulties with the same pattern again. For example, we could compare it to a situation where you have for some incomprehensible reason got a wound on your skin that is bleeding. Now we have the opportunity to put a healing ointment on the scar, and we can heal the problem. This, however, does not mean that a new wound would not appear next to the old one and that we would not have to repeat the process by applying an ointment onto the patch. Perhaps then, the wound was not caused by the lack of cream. Instead, there was another reason. We are still with an unanswered question of why I specifically have developed a particular kind of behavior (wound). After all, many have been in similar situations, but what they take with them from the case can be very different. Without a doubt, we must deal with our problems, meaning that figuratively speaking, we have to put a patch on the wound. But we also need to understand why the injury occurs! This is why it is essential to understand that we have an original nature – a personality type with which we were born. The first of the modern psychologists to talk about it was Sigmund Freud's pupil Carl Gustav Jung (1875–1961). He finally explicitly said that a person is born into this world with a particular innate virtual image. He named this part that comes with us the "collective unconscious." However, today's scientists are still struggling with explaining it. They look for reasons from parents, genes, etc. But to find out the real cause, we need to turn to even more ancient knowledge. So – why are we different, and why are we born into this world with different physical and psychological bodies? We will find one explanation for this from Vedic literature. Namely, to understand this, we need to know that there is a reason for every phenomenon. If we are born with specific characteristics, the cause of this must be somewhere further back in time. Vedas tell us that, a living being is, in fact, a soul – that means consciousness. And if a person dies, the awareness remains in the form of a soul. After some time, the soul is embodied in a new body, taking with it the wishes that the living being has acquired over time. Entering a new body is called an incarnation, and the desires that come along are part of our karma. Hence, the reason is simple – we get our coarse physical and subtle mental bodies according to what our earlier desires have been. This perfectly explains why we are not all born 100 percent the same. It is evident that all new-borns are different, every mom knows that! In that way, we do not have anyone to blame for all our good and bad sides – they are the result of our past deeds and desires. This means that we can only solve our problems if we take responsibility for ourselves and begin to deal with them. Nothing will change for the better as long as we are looking for a perpetrator and blame others. So – we have our former wishes, and now we have acquired the respective instruments for satisfying those desires. Now we have essential knowledge to understand, how it is possible to act so that we could experience the feeling of happiness and satisfaction. We will be satisfied once we fulfill our wishes. As long as our desires remain, we will continue to be restless, and we cannot experience true happiness. The problem is that we are not aware of many of our desires, but that does not mean that they do not exist! We use our body in the wrong way, meaning that we, for example, behave as extroverts, although we have received the subtle body of an introvert. For example, we have had the desire to build strong relationships and to pay a lot of attention to them, and the psyche of an introvert is ideal for that. Instead, however, we begin to pay attention to objects and adjust our relationship according to other people. Because we are trained us so and because others are doing so! Or, for example, we have received a subtle body, which has strong ethics (emotions, relationships), and it would be appropriate to work in humanities or the social sector. It has been our former desire. Instead, however, when we are small, we are made to play chess which nurtures a much capability of logical thinking in us. Thinking that we are good at logical thinking, we start working in the field of research or maybe we take on a leading position. So, it is essential to understand precisely the nature that we have received according to our wishes. We call satisfying these as fulfilling obligations because it is imperative for us to be able to become happy. Questioners interact in dialogue, exchange information through questions and answers. Often their replies are short. They tend to ask more questions, and it is essential to get feedback from a partner. If Declarer interacts with a Questioner, as a rule, the conversation takes place such that the Questioner asks brief questions and the Declarer answers in detail. If the communication takes place between two Declarers, then they exchange stories, it is not even dialogue, but preferably two monologues. Declarer strives to be leading the conversation, while Questioner likes to be controlled. Therefore, people with two different traits find it easier to communicate with each other than people with the same characteristics. Thus, people are better suited to each other if one of them is a Questioner and the other a Declarer. 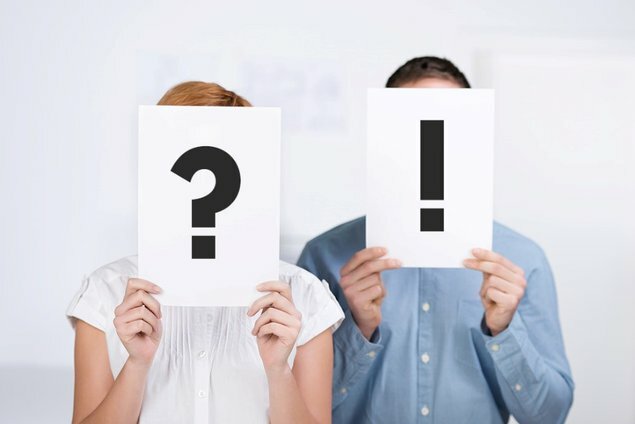 Questioners do not use very categorical jargon and, in many ways, have a question mark “written on their faces” – their facial expressions are investigating and asking. They interact in such a way as if they didn't want to impose their views. Declarers, on the contrary, try to convey their vision and belief, for them, it is essential to have a listener, to whom to talk. When a Questioner starts talking, he is confident that others will come to listen to his story, he tries not to impose his speech to others. However, if a Declarer wants to talk about something, he first finds a listener. But when he hears that people also started talking about something in the room next door, he may pause the conversation and check what was happening there. It is like Declarer and Questioner speak in two different literary genres. In the Declarer's case, it is a story that also contains a variety of events in the middle and a climax. A Questioner's story is instead of an ongoing conversation, flow, where there is a continuous exchange of ideas. Questioner responds directly to the questions that are asked in the middle of him talking – he answers the question and then continues the topic. Because he is more tuned for dialogue than a monologue, then he expects another to ask questions. But he has a hard time keeping himself back, to listen to others’ story without intervening with his issues. He is more geared for a conversation, which consists of questions and answers. Even when he is the only one talking, it is as if he was in a dialogue with someone. His story is structured as questions and answers. They tend to respond to questions with questions. Often, they can start their story with a question: “What will I tell you about?”, “How did it all start?”. Often, they respond to another person's question with an empty question, which they do not expect an answer to: “Would you please stand up?”, “Who? Me? Yes, I can stand up!”. May use questions to keep the conversation going and to take time for thinking: “What do we do with this knowledge? How do I see it?”. A Questioner’s intonation is always a little questioning, even if he is presenting his view, it does not sound as categorical as a Declarer’s. When you interrupt a Declarer, he loses his trail of thought, so either he waits until others’ comments have ceased or try to talk to them by raising his tone and making appropriate gestures. If you ask questions while he is talking, he will ask you to wait until the end: “Please hold on, I will soon answer!”. He is much more patient and sympathetic towards others and does not interrupt. He is tuned to listen to others from the beginning to the end, and then make his thoughts heard. Declarer's way of communicating is in the form of a monologue; conversation partners take turns to tell their stories. Therefore, he always tries to turn dialogue into a monologue, either their own or someone else’s. Declarer tends to ask questions to have them answered. Unlike Questioners, he rarely replies to a question with another question, nor does he use pointless questions only to maintain a conversation. Declarer’s speech has overwhelming affirmative intonation; it can sometimes be interpreted as a conviction or as being categorical. Even his questions have a positive tone. “Is this theory also confirmed by others? Yes!” – Questioner repeated the question before he answered. “Who? He? He is my colleague.” – answer to the question “Who is the man over there?”. “What will I tell you about? How was yesterday? We went together...” – in response to the question “What did you do yesterday?”. “What do you think of that idea of mine?" “When people talk about their weaknesses, then I do not understand why they do it.” – Declarer asks a question in his story, but it sounds like an argument. “Why have you come here?” – Declarer asks a question so the conversation partner can start his monologue. If we can recognize these different types of communication and know our own, then we can be more attentive when talking to others. If we are facing a Declarer, then let him tell, regardless of which type we are. When he finishes his monologue, he will give us an opportunity to speak. If our conversation partner is a Questioner, then we can intervene to his stories, and according to their relevance, he will happily reply to them right away. Using this knowledge will help us increase the exchange of information with different people, convey our message better, understand others more, and be more tolerant and patient with others. Am I more of a Questioner or a Declarer? Can I see the interaction type of others’, and do I take it into account enough? If the way I communicate does not conform to my type's trait, then what could be the reason? How can I improve the quality of my communication?